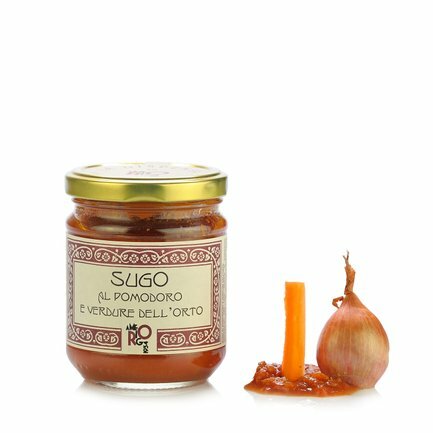 A simple yet delicious idea: this sauce from Dispensa di Amerigo is made with fresh tomato and carefully selected, freshly picked vegetables. Simplicity that is able to amaze, specially when combined with delicious artisan pasta dishes. 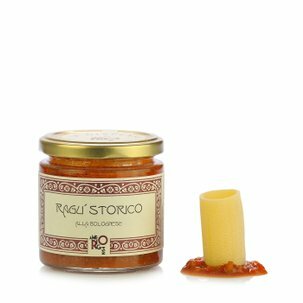 If you are passionate about the Tomato and Garden Vegetable Sauce from La Dispensa di Amerigo don't miss the value pack available from Dispensa di Eataly! Ingredients tomato passata 77.9 g, peas 6.3 g, extra virgin olive oil, green courgettes 4.5 g, carrot 4.5 g, red and yellow peppers 4 g, Medicina golden onion 3 g, Cervia sea salt. For more information on product labels, please contact our Customer Service department. The information on the labels of the products may vary for reasons beyond our control, therefore, there may be discrepancies between the information on the site and that on the products delivered. Please always check the information on the product before consumption or use.